By Suhasini Haidar – In an exclusive interview to The Hindu, Mr. Oli says the bitterness of past relations have been put behind them, and India and Nepal must work towards a new, more equal relationship. 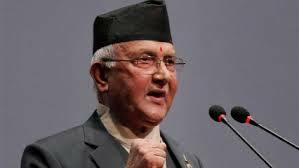 After fighting an ultranationalist election campaign where he criticised India for interference in Nepali politics, a victorious Prime Minister Khadga Prasad Sharma Oli, arrives in Delhi on Friday. In an exclusive interview to The Hindu, Mr. Oli says the bitterness of past relations, including over the 2015 economic blockade at the India-Nepal border, and growing ties with China, have been put behind them, and India and Nepal must work towards a new, more equal relationship. You last visited India as Prime Minister in 2016… what are your expectations from this visit, and how will it be different? The situation before my visit is different this time. At that time because of differences over the constitution, and because of some elements in Nepal, we had misunderstandings. But now, the constitution has been promulgated for two and a half years and we have had elections at all levels. Our government is elected by all, and we have a strong majority. We won the confidence vote in parliament by 88% of the votes. Many thought the Madhesi parties would not support me, but they also supported me. And even those MPs in the opposition, they would have voted for me, but for the party system. In terms of our expectations from this visit, I want to make it clear. The starting point of our neighbourhood policy is friendship. If you say tell me three things Nepal needs from India, I would say, the first is friendship, the second is friendship and the third is also friendship. We have completed our political struggle, but now there is a new phase, of Nepal’s struggle for development and prosperity. You said this in parliament on Tuesday. But you also said, you will not sign any treaty against Nepal’s interest — what did you mean by that? Does this represent a suspicion of India’s motives? Has the bitterness of the past been put behind us? No. The history, size, levels of population and development are different between our two countries. And our differences reflect that. I said I won’t sign anything against the interest of the nation because that is a fact. There are such treaties that need to be corrected and updated according to the present time needs of the Nepali people and mutual interests, and for mutual respect. Many years ago, I used to speak about revising the 1950s treaty, and people would question me. But I said, even if you don’t look at the issues with the treaty itself, the signatories were the Ambassador of India and the Prime Minister of Nepal. That shows clearly the difference in our ranks then. How does it benefit India to have such an (unequal) arrangement? But it hurts and pinches the Nepali people. So these kind of treaties must be updated and revised. So I will ask again, has the bitterness of the past been put behind us? There is no point in saying there are no problems. We are neighbours, if your child comes to my house repeatedly and rearranges my house, breaks something, how will you feel? Because we are neighbours, such things can happen. Our borders are open. Is the child a metaphor for perceived Indian interference in Nepali politics? You have in the past said India interfered in your government, and you even dismissed the Nepali ambassador to India, before your government itself fell in 2016? Well, if such things happen, they must be corrected. We can’t say that everything is correct and all right. We cannot ignore and deny such facts. It is better to accept the problems between us, correct them and then not look behind, so as to have a better future. To come back to your visit, you have said that rather than signing new agreements with India, you would like to see old projects finished. Is that a dig at delivery delays on the Pancheshwar dam project, or the Terai road (postal roads) project etc? I think the mood of the present Indian government is to complete these projects too. From both sides we want to improve our rate of commitments and delivery. The Pancheshwar (multipurpose hydropower) and Mahakali project was signed in 1996. Twenty-two years have passed for one project, and so we have to ask, what are we doing? Time won’t wait for us, and there is a Sanskrit saying that says if you have to give something, or do something, and if you don’t do it in time, then time itself will destroy its value. When we signed the Pancheshwar agreement, I was a much younger man. In 22 years I have aged, but the project has not been completed. Many have remarked that you and Mr. Modi have similar styles. You both ran what some would call ultra nationalist campaigns. You also are seen not to have too many peers within the party and the government. Would you agree? I think there are many similarities between us, but also differences. Of course Modiji is Modiji and I am me. So we may have differences in ideology or politics, or interests, but we are both dedicated and committed to our countries, our people and humanity. We are both committed to fighting corruption, and to promoting development. Even when we had problems in our friendship [during the blockade], I was not against India nor he was against Nepal. We both want to strengthen Nepal-India friendship too. You’re saying the differences were on policy, not personal. He called you after you won the election in February. 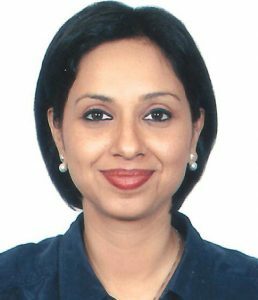 Are you expecting a visit from PM Modi? Yes. I am expecting a visit from him, hopefully without any unnecessary delay. To turn to your foreign policy stance, where you have indicated a desire for “equidistance” with India and China. Doesn’t this mean distance from India, as India and Nepal have always been much much closer? I have never used that exact word. I speak about closeness instead. As a sovereign country, Nepal’s foreign policy is always independent, and we behave as a sovereign and independent country. We speak of sovereign equality and interests. There may be competition between our big neighbours, but we have no competition with either. We want our neighbours to be developed and prosperous, and at peace with each other, so we can sleep without any worries. When you were PM earlier, you signed a 10-point agreement in Beijing, that opens Nepal up to infrastructure roads, railways, ports in an unprecedented way, as a part of the Belt and Road Initiative. Will you revive them? This is the 21st century, and relations between sovereign countries have to update and develop according to the times. Our foreign policy moves are on the basis of the UN Charter, the Non Aligned Charter, Panchshila and the concept of Vasudhaiva Kutumbakam (global village), which Mr. Modi also speaks of. You say unprecedented…but so many things happen that haven’t before. Before James Watt there was no engine. Earlier there was no Google, no internet….so we shouldn’t use old measurement yardsticks. We have two neighbours, we want to get support from both of them, for Nepalis to benefit from them. I also want to say, if we have two neighbours, we are not “one-country locked.” We are “two-countries locked.” We want to change this to the concept of land-linked not land-locked Nepal. We want to connect to the seas through both neighbours. This way, the Indian ocean is ours, the Pacific ocean is also ours, it just depends on our capacity, because no one country owns the oceans. This is why I am sure my dream of merchant marines with the Nepali flag will one day be seen in the oceans. But even if you put aside India’s concerns with the Belt and Road initiative, and the India-China rivalry, there is the concern for Nepal of a debt trap. The Pokhara airport project is sometimes compared to Sri Lanka’s Hambantota project…a white elephant that Nepal may not be able to pay for. How will you guard Nepal from the risk of a debt trap? I object to the use of the word “trap.” That is a word from Indian perception and reflects the rivalry of the two countries. For example, when India and Pakistan have problems, we can’t use the words that Pakistan uses, or what their intellectuals say about India. Are you saying you are not worried about a debt trap? No I am not worried. As I said, I will not make any agreement against our sovereignty, or our national interest. We are careful and mindful of all sensitivities of our neighbours. But we will not enter into their competitive tournaments. You mentioned India and Pakistan. Your first visitor after winning the elections was the Pakistani PM Shahid Abbasi who spoke about convening the SAARC summit this year. Will you raise the issue of SAARC with PM Modi during your visit? Yes the Pakistani Prime Minister visited to congratulate me, and I welcomed him, as I would welcome any of our neighbours. Now SAARC has a very important role for us, as it has contributed so much in the past to narrow down our differences between South Asian countries. It is an excellent forum for all our leaders to meet, and it is a great tool to contribute to our development. Even if it doesn’t come up to our expectations, SAARC should remain. We believe SAARC must be reactivated and the Summit must be held. To come to Nepali politics, which are at a very important juncture. You now have a major mandate, yet much depends on stability with the Maoist party and Mr. Dahal (Prachanda) who pulled out of your government last time. How secure are you this time ? Well, the same events do not repeat. Questions have been raised, because we have not merged our parties yet, but we have been meeting and we have declared April 22 as the day for the UML and Communist Party of Nepal to merge. The documents have been prepared, and there are only a few differences or doubts to clear. So there is no doubt that we will be one, and there is no reverse gear here. It is like a jet plane, no reverse gear will be applied here. Transitional justice is one of those issues. Will you still hold Maoists and the Army accountable for war crimes committed during the violent decade? We have nearly completed our peace process, with a few steps remaining. Those steps must not be used for political purposes. Reconciliation is a home-grown process that Nepalis have built. We have seen Maoist combatants give up arms, and even join the Army. This means the process has reached a conclusion. There are two commissions on Truth and Reconciliation working still, and they will submit their reports as soon as possible. Will there also be a reachout to Madhesi parties? There have been discussions for you to support the FSFN and RJPN for a government in province-2 (Madhesi region), and for them to join your government, but that hasn’t materialised. Yes, they will join the government at the appropriate time, and the talks are going on very seriously. Because of some internal issues, we are unable to incorporate them inside the government right now, but they will be brought onboard, I am sure. What about the demand they had, and India had supported, for more amendments in the constitution to ensure the Madhesis better representation? The constitution is now perfect, and it is well accepted throughout the country. Last year was an election year, and more than 70-80% took part in voting. So the acceptance of the constitution is undisputable. No debate, no question. Of course, some sides may want to keep their agendas alive, but we know what is the reality. Constitution can always be amended for the sake of the nation, for development, according to the people’s desire. Neither us nor the Madhesi parties are asking for that now, so it is better not to rekindle the issue. Has India also stopped making this an issue, when FM Swaraj had visited here …? Nobody has spoken about it to me up to now (since I was re-elected).